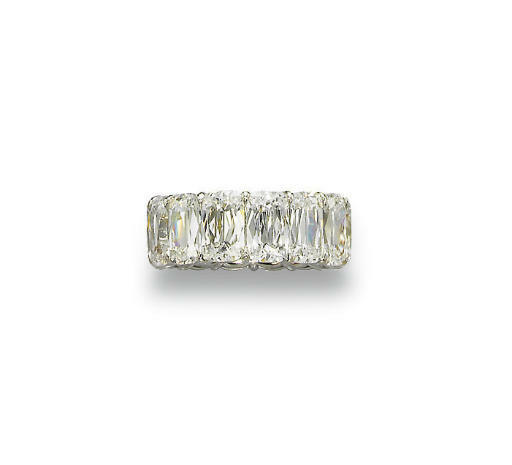 William Goldberg Diamond Corporation has recently introduced a new cut: The Ashoka. Contemporary version to the traditional cushion-cut diamond it is named after the famous Ashoka diamond, a 41.37 carats, D colour, Flawless clarity stone which acquired it’s name from the Buddhist warrior and emperor Ashoka Maurya. An extra long rough is required for its elongated design and the process of production can waste away forty to sixty percent during the design creation. The scarcity of the extra-long rough on the market today makes the cut difficult to produce and inherently desirable. The Ashoka displays 62 facets combined with a rectangular girdle outline and rounded corners and its brilliance has an incomparable balance between reflected and refracted light.